In previous version of Windows i.e. Windows XP, Windows had a built-in tool called Clipboard Viewer or ClipBook Viewer. This tool allows you to view all your recent clipboard, including images and text. However, this tool has been discontinued in Vista and Windows 7. Clipboard is the most important functionality in Operating System that made copy/paste thing very easy and simple. When you copy some image or text using Ctrl + C or Copy command, this gets saved temporarily in clipboard. Clipboard viewer comes handy when you need to see your current copied text or image in clipboard. Using Clipboard viewer eases the copy-paste clipboard function more effectively and might come useful when doing lot of copy-pasting. Clipboard viewer or ClipBook Viewer has been discontinued from Vista and Windows 7. 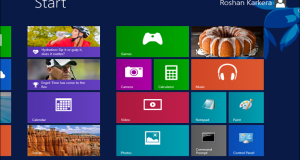 However, we tested this tool in Windows 7, and we find there is no compatibility issue, and it works fine. This tool seems to be compatible with windows 7, both 32-bit and 64-bit. You can copy Clipboard viewer, i.e. Clipbrd.exe from windows XP %windir%\system32 folder to Windows 7 %windir%\system32 folder or Download Clipbrd.exe from here and copy this in %windir%\system32 folder in Windows 7. 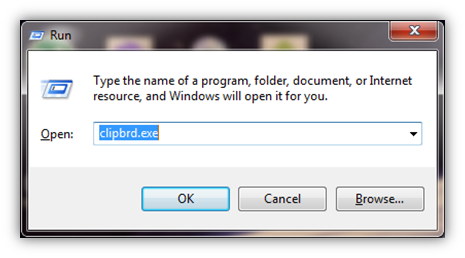 Once Clipbrd.exe tool is present in Clipboard in windir%\system32 directory, you can directly launch it from Run Command. Open Run, and type Clipbrd.exe and Enter. In case you are using Windows XP, then this tool will be available in windows XP. Just type in Run, Clipbrd.exe and Enter.